The His Dark Materials series may have ended with the three books, but there is always something extra going on, whether it is Pullman’s companion pieces and titbits of information, or it is the long awaited The Book of Dust which has been on fans wish lists for more than a decade. Over the years Pullman has released snippets of information about what his characters have been getting up to and some have even been given full stories of their own, a look at their past or a moment in their future. Lyra, Lee, and Mrs Coulter have all been given additional attention, Lyra having an adventure after the series has ended, while Lee and Mrs Coulter have stories that take place in their past. The Collectors is an audio book that is a short story focusing on the early life of Mrs Coulter. Mrs Coulter is one of Pullman’s most evil characters, and even the smallest glimpse into her early life is beyond brilliant. 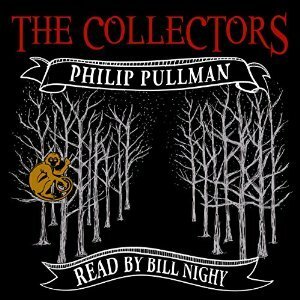 The Collectors was written exclusively for Audible, and is narrated by Bill Nighy. You can listen to an extract here. In the release of the His Dark Materials Omnibus, Pullman has added little postscripts about what he thinks the characters are up to. 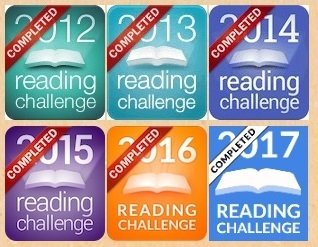 These do not change the story because Pullman believes it is not the author’s place, saying “it’s too late: you should have done that before it was published, and your business now is with new books, not old ones”, but he does play. There are numerous slides for each book, adding adventures and moments in the character’s lives, Lyra, Will, Dr Mary Malone, Lee Scoresby, Lord Asriel and Mrs Coulter included. They are only little things, snippets from within the books expanded, moments outside the series that show what happens to them, all marvellous and all brilliant. Because the internet is a glorious place of sharing with those who cannot have, you can read what Pullman has included in Lantern Slides for yourself here. In the post-script ‘Lantern Slides‘ in the omnibus, it is revealed that Will goes on to become a doctor. His time bearing the subtle knife gave him the gift of easily diagnosing patients, and while he hides this when he is a med student where it would be seen as suspicious, when he becomes a qualified doctor he is more comfortable about using his abilities. As revealed in the extra bits and pieces included in Once Upon a Time in the North and Lyra’s Oxford, Lyra is studying the alethiometer and when she got older started working towards her dissertation. Whatever else she may be doing is yet to be revealed, no doubt in The Book of Dust. This will be a companion novel to the His Dark Materials trilogy and features Lyra as the main character. Initially the book was to be set two years after the events in Lyra’s Oxford and would tie in with that book (Lyra’s Oxford originally being a story taken from The Book of Dust), but this has since been changed. Pullman now thinks that the book may be in two volumes, one set before His Dark Materials and one taking place afterwards. As the title suggests the book will also be about Dust, addressing the lack of positivity about religion as seen in the trilogy while not being a continuation in itself. From its first mention all the way back prior to 2003, The Book of Dust has been a long and slow progress, Pullman continually pushing back the date and changing expected completion dates, settling on “eventually” for when it was due to be completed. After more than ten years it seems the end is near with Pullman announcing in 2014 that the book will probably be finished in 2015 and published sometime in 2016. A release date that currently remains unchanged. In absolutely exciting news, Pullman also mentioned that in addition to Lyra’s Oxford, Once Upon a Time in the North and The Book of Dust, there may be another book, a small green book about Will which may appear someday. Knowing what Pullman is like with books and what “eventually” has meant, it may be another ten years like The Book of Dust, but I hope Pullman knows that in ten years time I will still be there waiting to buy a copy of that little green book no matter what.